Stephan Schmidheiny is an entrepreneur and philanthropist whose visionary ideas contributed to the world’s agenda for sustainable development since 1976 when, at 29, he assumed leadership of his family’s company, Swiss Eternit. A group of organizations, some linked to Stephan Schmidheiny as well as others created by him throughout his career, felt that it was time to create “The Schmidheiny Story: The Sustainable Truth” for those who are interested in his work, as well as to make available information about the trial he is involved in. The purpose of this public narrative is to put into context the business and philanthropic life of the pioneer in the elimination of use of asbestos in manufacturing, a precursor of risk investment, an innovator in philanthropy and impact investment, and the motivation behind our organizations. …when, months after assuming the leadership of Eternit, he met with management to encourage them to take measures that would reduce the risks of handling and transporting the mineral; he invested millions of dollars in adapting the company’s plants to make them safer; he developed programs on how to protect the environment; and, since 1981, financed the research that allowed them to discover a substitute for asbestos in the production of cement fiber plates. In 1984, when governments, as well as the industry itself, had not yet adopted safety measures with regard to asbestos, Eternit, headed by Schmidheiny, replaced a significant percentage of asbestos in their production process. Schmidheiny tried to convince the heads of other companies in the same field to do likewise, but was not successful. The investments that were required to instate these new processes made some of his plants unviable and were consequently shut down. In 1989, Schmidheiny decided to sell his shares in Eternit and retired from the industry. During the 1980s he was a precursor of hedge funding. He diversified his businesses, motivated by the challenge of buying companies that would require significant restructuring in order to continue operating, or investing in sectors that were in crisis in Switzerland, such as the watchmaking industry—at that time it was greatly threatened by Japanese watchmakers. Thus, Schmidheiny restructured his assets by transforming companies and industries in crisis that, judging by traditional investment standards, should have gone bankrupt or disappeared. In his later life, since the 1990s through the beginning of the 21st century, he became an example of sustainable growth throughout the world. He helped plan the Earth Summit, held in Rio de Janeiro in 1992, and initiated the establishment of the World Business Council for Sustainable Development (WBCSD). He chose Latin America as the place to develop a new innovative strategy for impact investment by establishing Fundación Avina—he did so in order to promote the inclusion of social and business leadership in sustainability. Through FUNDES, he strengthened the capabilities of small and medium businesses, which are important factors in developing and generating jobs. He created the VIVA Trust, formed by investments and shares in profitable Latin American businesses, so that his work would endure after his retirement. Most of the revenue generated by the Trust goes toward philanthropic activities and is used to finance initiatives and organizations that continue to create transformations that transcend his personal contributions. Due to his characteristic sense of discretion, Schmidheiny has maintained a low personal profile, which is why we know very little about his personal life or the extent of his business and philanthropic career path. Since neither his work nor the impact it has generated have been adequately measured, certain accounts—especially those linked to the trial in Italy regarding asbestos—have sought to distort his career and the importance of his contributions to society in order to damage his public image in a way that is not fair to him nor his work. Through “The Schmidheiny Story: The Sustainable Truth,” the organizations that promote this site hope to provide relevant information so that Schmidheiny’s work and career can achieve the widespread exposure and scope they deserve, as well as provide a place where discussions generated by asbestos issues can be held rationally and generate constructive proposals. With the creation of a brick factory in Heerbrugg, Switzerland, Jacob Schmidheiny, Stephan’s great-grandfather, lays the foundation of the family business. Brown, Boveri & Cie. is founded in 1891 in Baden, Switzerland, by Charles Eugene Lancelot Brown and Walter Boveri. The Eternit company is founded in Italy, a corporation with numerous local shareholders and a few foreign shareholders. Ernest Schmidheiny I, Stephan’s grandfather, invests in the emerging cement industry through Holderbank (now called Holcim) and then in the processing of asbestos, through Eternit Switzerland. On October 29, 1947, Stephan Ernest Schmidheiny is born in Balgach, St. Gallen, Switzerland. He is the second of four siblings, the children of Max Schmidheiny and Adda Schmidheiny – Scherrer. Stephan Schmidheiny works in an Eternit factory in Brazil, performing tasks that bring him in direct contact with asbestos. After studying law, he obtains a Doctor of Jurisprudence degree from the University of Zurich, Switzerland. The Swiss Eternit Group (SEG) becomes the largest shareholder of the Italian company Eternit SpA. The ILO convenes a meeting of experts to debate the safe use of asbestos. Subsequently, the international body publishes the report “Asbestos: Health Risks and their Prevention”. Stephan Schmidheiny is formally named Head of Sales for Eternit A.G in Niederurnen, Switzerland. Schmidheiny is named General Manager and member of the Board of Directors of Eternit A.G. in Niederurnen, Switzerland. Schmidheiny succeeds his father as General Director of the Swiss Eternit Group (SEG), becoming responsible for a conglomerate of companies with factories in more than 20 countries. He promotes the “New Technology” program, a pioneering, innovative initiative to find a substitute for asbestos in the manufacturing of panels and other products, as well as to set up safety measures to protect workers in Swiss Eternit Group (SEG) plants across the world. Schmidheiny becomes a member of the Board of Directors (1978 – 1996) of the Union Bank of Switzerland (which later becomes UBS). The ILO convenes again with an emphasis on the need to adopt international standards for the prevention and control of the risks caused by exposure to asbestos, as well as the urgent need to produce a set of practical recommendations for the safe handling of asbestos. The document “Safety in the Use of Asbestos” is published in 1984. The majority of the recommendations had already been put into practice voluntarily by Eternit before the ILO published the code of practice. Schmidheiny publicly announces that the Swiss Eternit Group (SEG) will stop manufacturing products that contain asbestos due to the potential human and environmental problems associated with the mineral. SEG takes this radical step before the majority of European countries adopt legislation banning asbestos and certainly before the rest of the world, given that in several countries in Latin America the use of asbestos as a raw material for construction products is still legal and quite prevalent to this day. Schmidheiny joins the Board of Directors (1981 – 1997) of Brown, Boveri & Cie., a position from which he promotes a merger with Asea, forming Asea Brown Boveri (ABB) in 1988. Schmidheiny steps down from the position in 1997. He starts to diversify his investments and acquires the Swiss newspaper kiosk company, Distral Group. Schmidheiny enters the Latin American market for the first time, investing in the forestry industry in Chile through the company Terranova. Six years after Stephan Schmidheiny started a workplace safety and innovation program at Swiss Eternit Group (SEG) plants, and months after Schmidheiny issued the order for SEG to exit the asbestos industry completely, Sweden becomes the first nation in the world to prohibit the use of asbestos. His father, Max Schmidheiny, hands over control of the Swiss Eternit Group (SEG) to Stephan and turns the cement company Holderbank (later called Holcim) over to his brother, Thomas. The Swiss Eternit Group (SEG) plants manage to manufacture numerous asbestos-free products, replacing it with a component based on paper pulp. SEG becomes less competitive due to the high production costs. Stephan Schmidheiny and the archbishop of Panama, Marcos McGrath, create FUNDES, a foundation to build the capacity of small and medium sized businesses in Latin America. Schmidheiny acquires a third of the shares of the SMH group, the largest manufacturer of Swiss watches. He actively participates in the restructuring of the company, which leads to the formation of the successful Swatch Group. The mayor of Casale Monferrato, Italy sends a personal letter to Schmidheiny, explaining his concern about the effects that the closing of the Eternit factory in his town could have on the labor market. Schmidheiny becomes a Board Member of Landis & Gyr, a firm dedicated to energy management. One year later he becomes the majority shareholder and in 1995 he sells his shares to Elektrowatt. He steps down from the board in 1996. He is elected as President of the International Management Institute (IMI) in Geneva. In 1989, he promotes a merger with IMEDE to form the International Management Development (IMD) business school in Lausana, Switzerland. Schmidheiny steps down from the Board of the IMD Foundation in 1992. Eternit SpA Italy declares bankruptcy. An official receiver takes control of the company, eliminating the Swiss Eternit Group’s (SEG) role in its administration. The bankruptcy liquidation lasts until 2008. Schmidheiny becomes a Board Member of Nestlé (1988 – 2003). Eternit Switzerland sells its shares in Eternit Brazil and Amindus Holding to the Saint Gobain firm. After these sales, Schmidheiny no longer holds any shares in these companies. In 1988 Schmidheiny starts the process of selling the Swiss Eternit Group (SEG), which concludes in 1989. The shares are sold to the legal buyers with all the corresponding rights and responsibilities. He acquires Wild-Leitz, a company that in 1990 merges with Cambridge Instruments, creating Leica Microsystems, which currently has factories in five countries and sales and services in more than 20 countries. Maurice Strong, Secretary General of the United Nations Conference on Environment and Development (UNCED), names Schmidheiny Chief Advisor for Trade and Industry, due to his reputation as a pioneer in social and environmental issues, in preparation for the Earth Summit to be held in Rio de Janeiro in 1992. Switzerland bans the processing of asbestos, nine years after Stephan Schmidheiny announced that he would eliminate its usage in Swiss Eternit Group (SEG) plants. Schmidheiny founds the Business Council for Sustainable Development (BCSD), along with high ranking executives from different industries and regions, to inform his work as chief adviser to the Secretary General of the UNCED. The first meeting takes place in The Hague. Together with Hernando de Soto, he publishes the book “Las nuevas reglas del juego: Hacia el desarrollo sostenible en América Latina” (“The New Rules of the Game: Towards Sustainable Development in Latin America”). Stephan’s father, Max Schmidheiny, passes away. Italy introduces national rules according to the regulation issued by the European Union in 1983 regarding the maximum concentration of asbestos fibers permitted for industrial uses. Italy bans the processing of asbestos six years after Eternit closed its Italian factories. Schmidheiny publishes and is the main author of the best-seller “Changing Course: A Global Business Perspective for Development and Environment”, with the results from the work of the BCSD. Schmidheiny is designated as a member of the Board of the World Resources Institute (WRI), headquartered in Washington (1993 – 2001). Stephan receives an honorary doctorate from the INCAE Business School, Costa Rica. Schmidheiny founds Avina Stiftung in Switzerland, a foundation that promotes social and ecological sustainability, combining philanthropic work with an entrepreneurial spirit. Together with Bruno Fritsch and Walter Seifritz, he publishes the book “Towards an Ecologically Sustainable Growth Society: Physical Foundations, Economic Transitions, and Political Constraints”. After the Earth Summit, the members of the BCSD merge with the International Chamber of Commerce (ICC) to form the World Business Council for Sustainable Development (WBCSD). In honor of his brother who passed away in 1992, Stephan creates the Alexander Schmidheiny Stiftung, a foundation to support cultural, social, and environmental projects and activities. Schmidheiny establishes the Alliance for Global Sustainability (AGS), a partnership among the four most important scientific and technological universities in the world. He serves as president of the International Advisory Board between 1996 and 2001. He creates the Centro Latinoamericano para la Competitividad y el Desarrollo Sostenible (Center for Latin American Competitiveness and Sustainable Development - CLACDS) at the INCAE Business School in Costa Rica, together with Brizio Biondi-Morra and Roberto Artavia. Stephan receives an honorary doctorate from Yale University, New Haven. Together with Federico Zorraquín and the World Business Council for Sustainable Development, Schmidheiny edits “Financing Change: The Financial Community, Eco-efficiency, and Sustainable Development”. He publishes the book “Sustainable Development: The Financial Markets in a Paradigm Shift,” together with Rolf Gerling. Stephan Schmidheiny recieves the “Ordem Nacional do Cruzeiro do Sul” (“Order of the Southern Cross”) award from then president of Brazil, Fernando Henrique Cardoso. Schmidheiny is named co-president (1997 – 1998) of the OECD’s High Level Advisory Group on the Environment. His recommendation to make sustainability a general principle of the organization serve as the basis for a Ministerial Meeting of the OECD in 1998. Stephan Schmidheiny creates the holding company Grupo Nueva, which encompasses his investments in companies in Latin America —Terranova (later called Masisa), Grupo Amanco, and Ecos— and is committed to the three areas of corporate responsibility: financial, social and environmental. Together with Jeff Gates he publishes the book “Ownership Solution: Toward a Shared Capitalism for the 21st Century”. Schmidheiny is named Honorary President of the World Business Council for Sustainable Development (WBCSD). Schmidheiny, together with Ruth, his former wife, create Daros Latin America, an art institution headquartered in Zurich with the goal of creating and conserving a collection of contemporary Latin American art. Since 2013, it offers activities for the public at the Casa Daros (Daros House) in Rio de Janeiro. In line with his humanitarian mission, Stephan Schmidheiny tasks Becon A.G. with a plan to analyze possible ways of helping with situations caused by asbestos. Stephan receives an honorary doctorate from Rollings University, Florida. Stephan receives an honorary doctorate from Universidad Católica de Andrés Bello in Caracas, Venezuela. Schmidheiny establishes Fundación Avina in Latin America to promote social and business leadership for sustainable development in the region. Schmidheiny publishes the book “Walking the Talk: The Business Case for Sustainable Development,” together with Chad Holliday and Philip Watts. Together with Erika Knie, he founds Fundación MarViva, a non-profit entity focused on the conservation and sustainable use of marine and coastal resources in the Eastern Tropical Pacific. Through Grupo Nueva, Schmidheiny acquires a majority stake in the forestry company Masisa, headquartered in Chile and with forestry and industrial operations in Argentina, Brazil, Chile, and Venezuela. Schmidheiny establishes an irrevocable trust, VIVA TRUST, donating all of the stock and investments of the Grupo Nueva holding group, a cash sum, and other liquid investments. The donation, with a total value of more than 1 billion USD, ensures the long-term sustainability of Avina and Fundes and the continuity of their philanthropic activities in Latin America. After the creation of this trust, Schmidheiny announces his gradual retirement from executive functions. The shareholders of Terranova approve a merger with Masisa. The new company is named Masisa S.A.
Becon A.G. starts to give out humanitarian aid to the former employees (or the families of former employees) of Eternit SpA in Italy. Amanco, part of Grupo Nueva, is sold to Mexican firm Mexichem. Plycem Company, also part of GrupoNueva, is sold to Mexican company Mexalit Industrial. After these sales, the productive activities of the companies in VIVA TRUST are concentrated in the forestry industry. 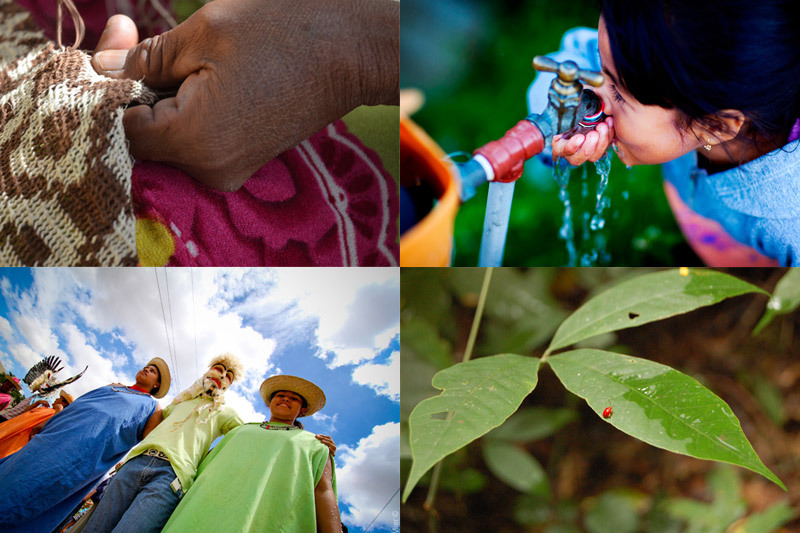 Schmidheiny participates in the creation of Fundación Latinoamérica Posible (LAP) with the goal of promoting the growing and responsible participation of the productive sector in the sustainable development of communities and nations. Schmidheiny expands the humanitarian aid program that was first started in 2007 through Becon A.G. to people affected by asbestos living in the areas surrounding the Eternit SpA industrial plants. In Turin, Italy, the Criminal Court of first instance begins criminal proceedings against the Belgian Baron Louis de Cartier de Marchienne and against Stephan Schmidheiny, in his capacity as shareholder of the Italian company Eternit SpA. On February 13th, The Criminal Court of Turin rules in the case of Eternit SpA and sentences Baron Louis de Cartier and Stephan Schmidheiny to prison. The ruling sustains that they were responsible for causing an “intentional disaster” and for “intentional non-compliance with safety measures” in two of the four Eternit SpA production plants. Upon hearing an appeal of the sentence, the Court of Appeals in Turin pronounces a new ruling confirming the sentencing of Stephan Schmidneiny, changing the charges and increasing the length of the sentence. Baron Louis de Cartier de Marchienne passes away before the sentence is handed down. 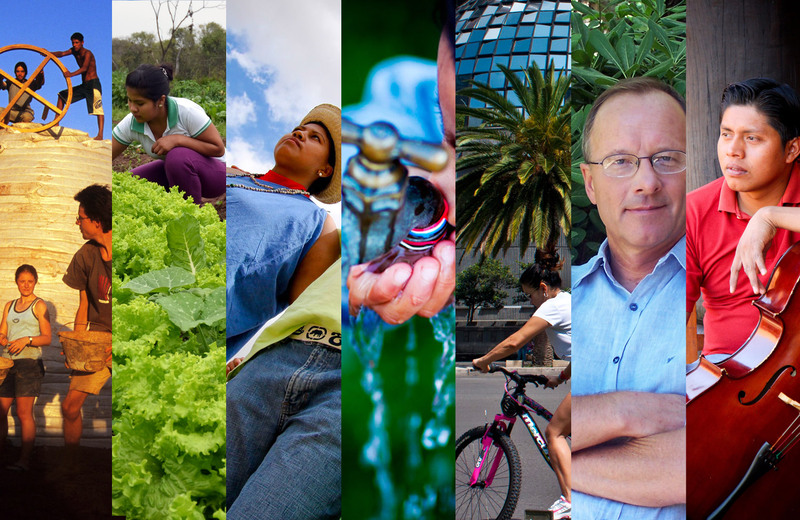 In order to celebrate the 10th anniversary of VIVA TRUST, the Centro de Intercambio de Conocimientos (Center for Knowledge Exchange - CiC) is launched, with the goal of sharing lessons learned by the organizations created by Schmidheiny and to inspire a new generation of social and business entrepreneurs in Latin America and around the world. By this date, more than 1,500 people affected by asbestos from the north and south of Italy have received humanitarian aid from Becon A.G. since 2007. On November 19, Italy’s highest court, the Corte Suprema di Cassazione in Rome, overturned the June 2013 verdict of the Turin Court of Appeals and acquitted Stephan Schmidheiny. Italy’s General Attorney denounced that the process had no legal grounding and requested the complete annulment of the trial with no possibility of reopening the cause. The defense attorneys held that the process severely violated the right to a fair and equitable trial, as well as the principle of “there can be no penalty without law” as stated in article 7 of ECHR.